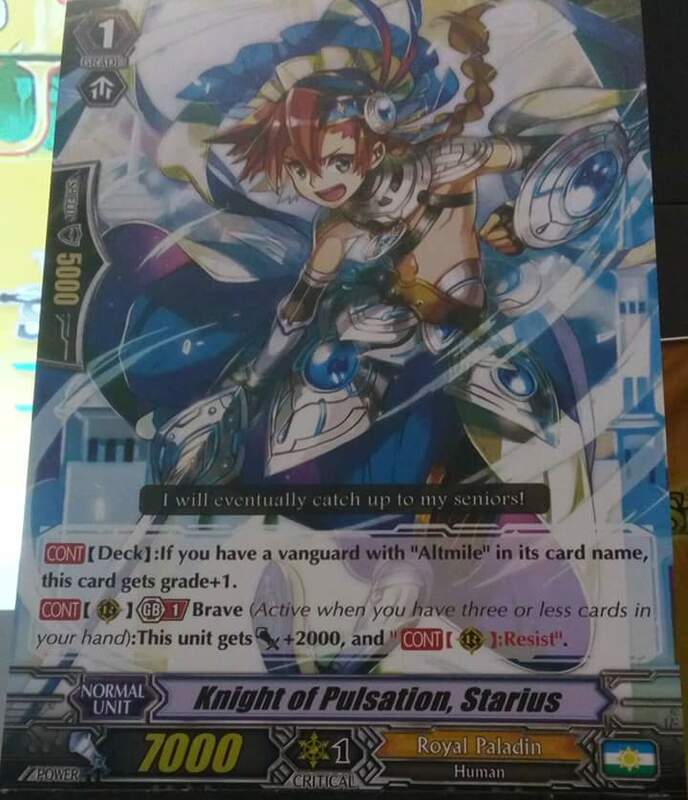 A new Altmile card has been revealed as well. CONT [Deck]: If you have a vanguard with “Altmile” in its card name, this card gets grade+1. CONT (RC) Generation Break 1 Brave: This Unit gets Power+2000 and “CONT (RC): Resist”.